The line up for the Tara Rocks! Music festival has been announced. Taking place on the 24th of August, the legendary Hill of Tara is set to come alight with a whole host of Irish music. The venue, famous for its tradition of Irish Royalty, will now see Irish Rock Royalty The Stunning take to the hills. They will be joined by a plethora of Irish acts across three stages, such as The Frank & Walters, Fight Like Apes, Shannon & The Shortcuts, Kapitals, The Furry Gilberts, Liam Byrne. The Stunning will be ‘Brewing up a Storm’ on the Main Stage, while the Stables Stage will feature ‘Open Mic’ performances from local bands and the Lounge Stage will be a ‘Jamming Session’ where everybody is invited to showcase their musical talent whether it’s singing a song or playing an instrument. As well as music to suit one and all, festival fans can expect a taste sensation at Tara Rocks! as a wide variety of food outlets on site will feed the hungry masses. From Ma’s Browne’s Famous Burgers (selling every burger imaginable from Crocodile to Wild Boar Burgers) to Japanese Food Markets and Malone’s Fish and Chips. In 2012, the Hill of Tara was rocked to its core with performances from Damien Dempsey, The Lost Brothers, Tupelo, Eoin Glackin, The Furry Gilberts, Trigger & The Hitmen, Pauly Fagan, Macey South and many more. The festival is ideally located, just 4 miles outside Navan and only 20 minutes from the M50. Tara Rocks! encourages the use of public transport and the 109 bus stops on the festival’s door step, with buses leaving Navan or Dublin every 30 minutes. The 109A bus route brings visitors directly from Dublin Airport to the site. 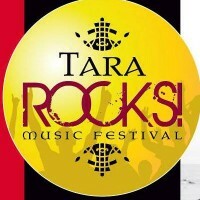 Stay tuned to the website, www.tararocks.ie and social media pages for festival updates and giveaways. Tickets are €20 with no booking fee for a limited time only.